The Augmented/Mixed Reality is a technology that superimposes a computer-generated image on a user's view of the real world, thus providing a composite view. 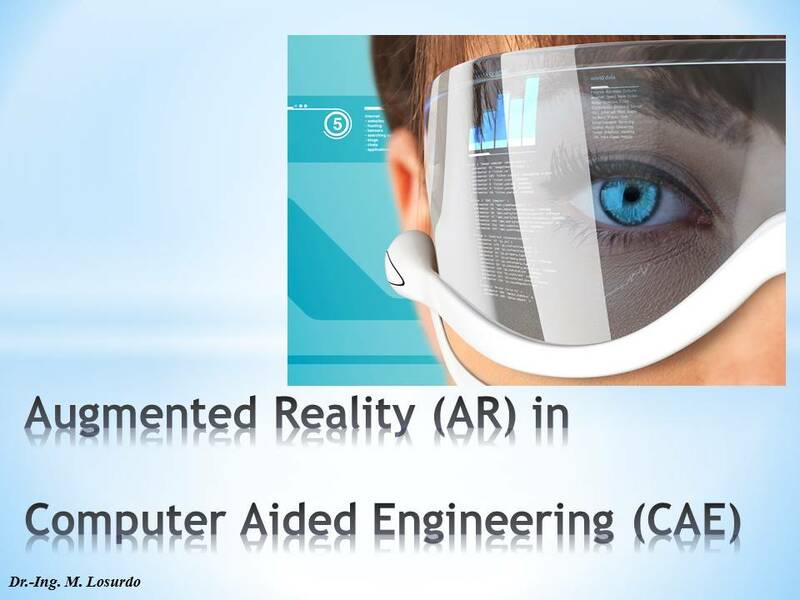 There is a plethora of fields of applications where Augmented Reality can be used. 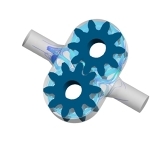 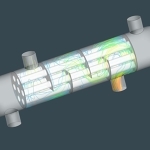 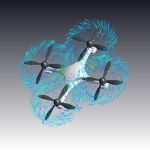 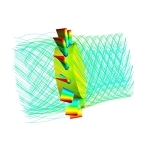 Most common fields are Gaming, Engineering and Architecture, including Automotive, Aerospace, Architecture, Construction Building, Combustion, Multi-phase flows. 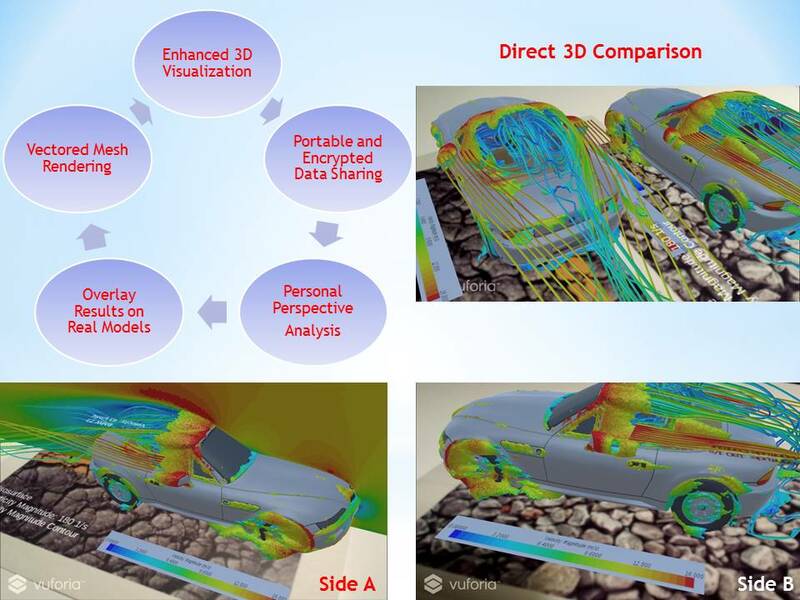 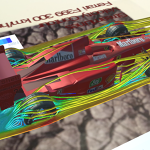 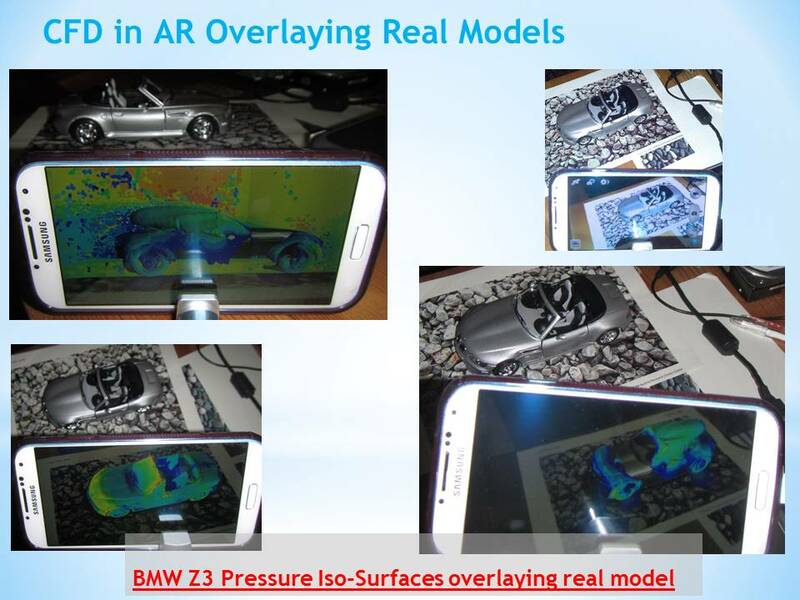 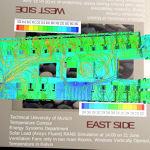 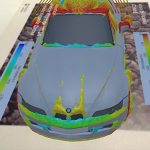 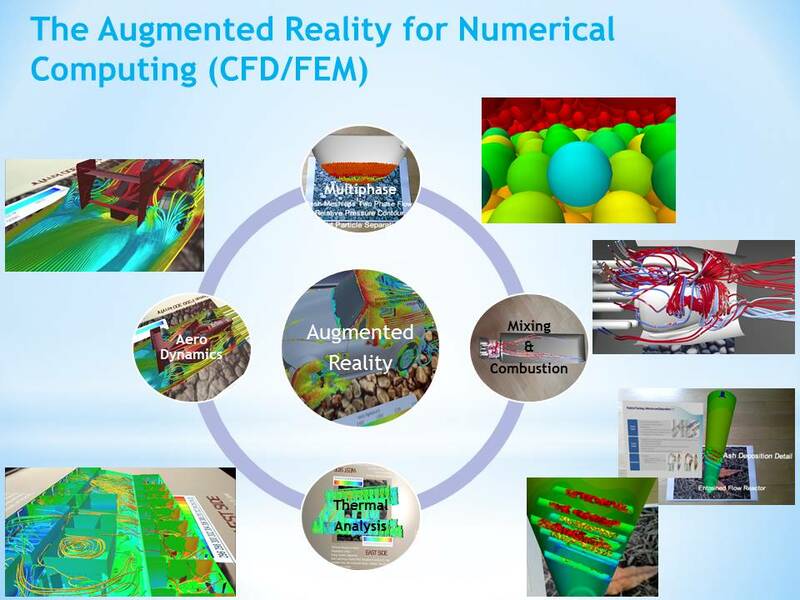 Augmented Reality enhances the visualization of scientific results obtained from Numerical Simulation (CAD, CAE CAx, CFD, FEM, FEA). 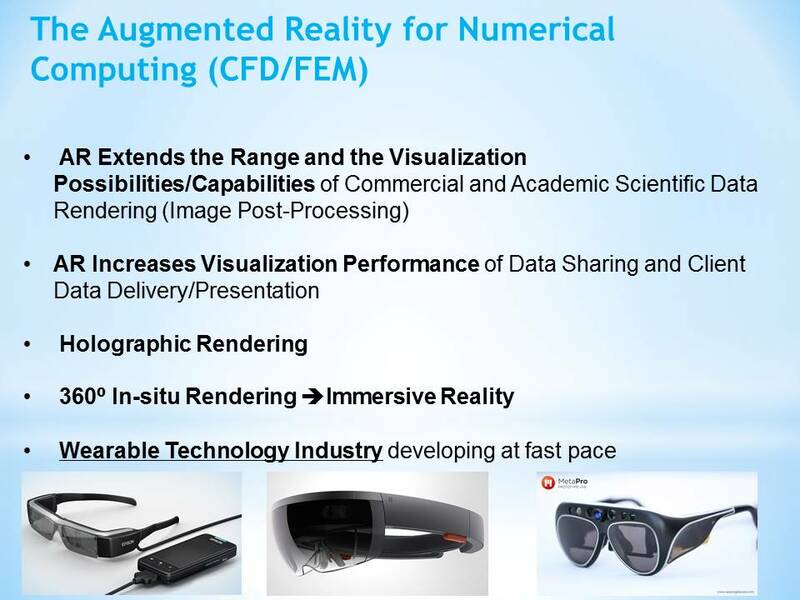 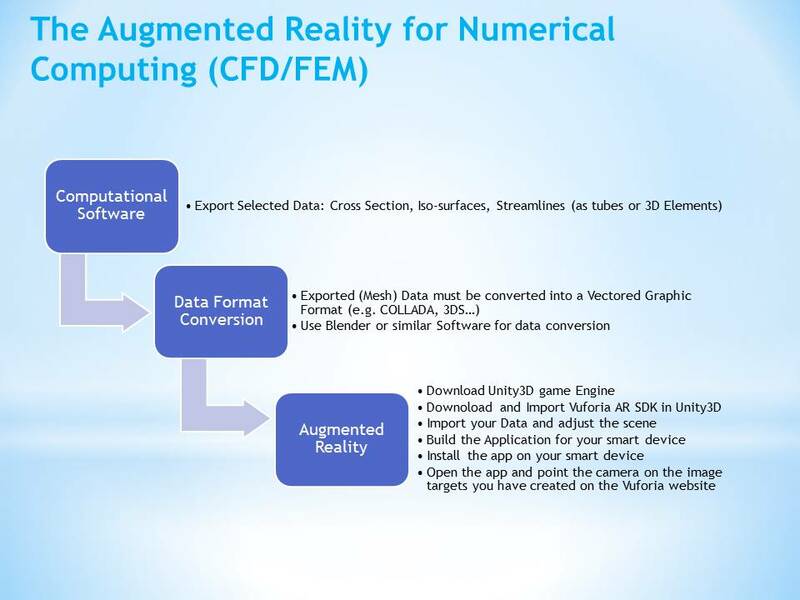 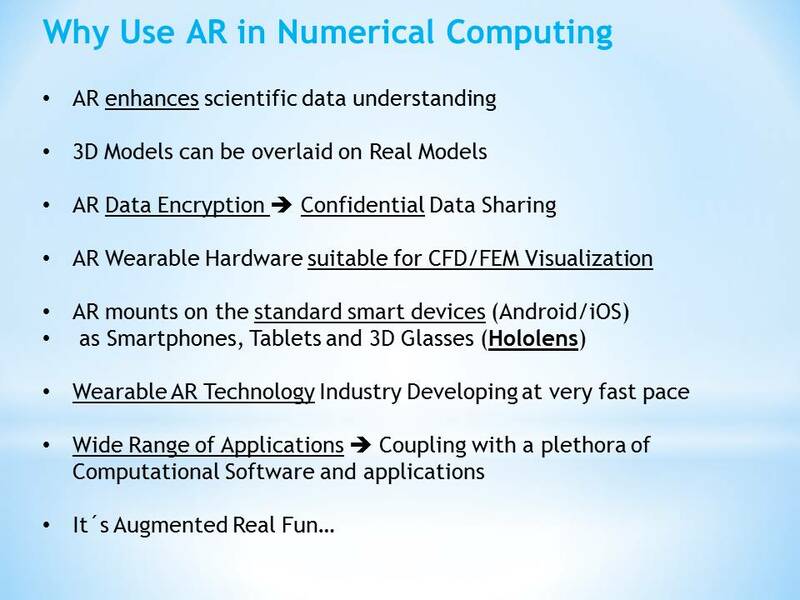 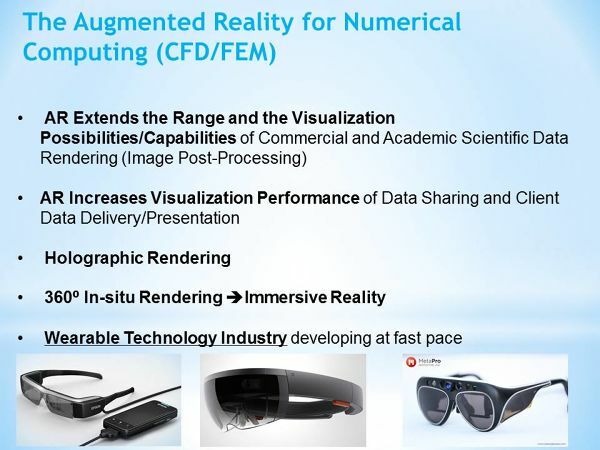 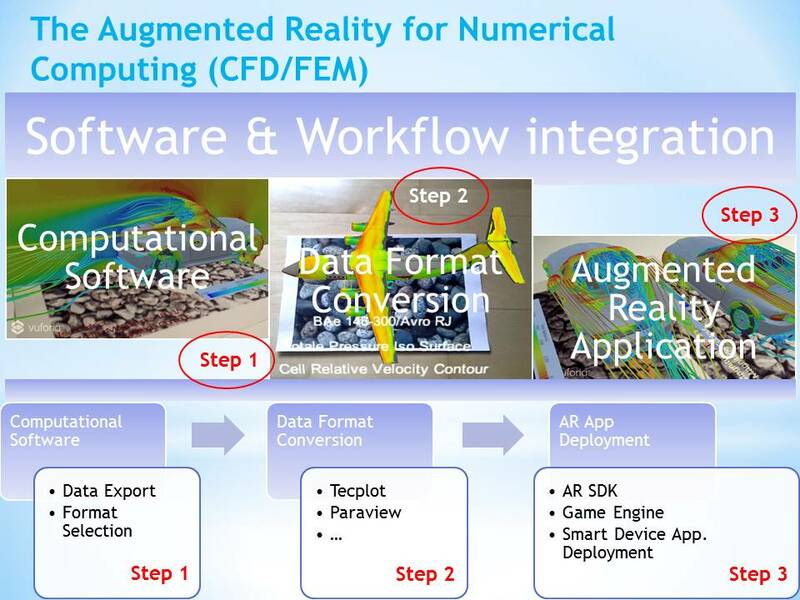 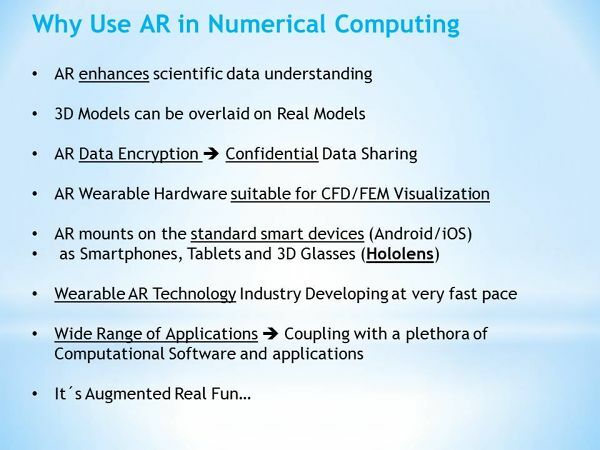 This tutorial explains what Augmented Reality is and how to successfully apply AR to Numerical Computing step by step.